Washington Monument Strategy: Political PR Tool or Crass Manipulation? I read an article about local government using the threat of budget shortfalls to close a popular and much-needed public service. 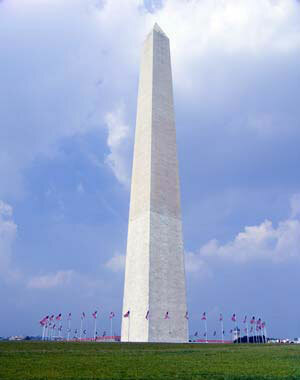 The writer referred to it as a Washington Monument Strategy. I had never heard that phrase before but a Google search showed it along with the phrase Washington Monument Syndrome being used a bit lately. Named after a tactic used by the National Park Service to threaten closure of the famed Washington Monument (or Mount Rushmore) whenever the park faced serious cuts in spending, I recognized it as a very simple, yet effective public relations tool. Faced with tough decisions, it’s very easy to get the public to rally around an emblem of national pride … or national convenience. Closing libraries certain days of the week or lowering the frequency of trash delivery appears to have the same effect. It’s true that most local governments have some fat that can be cut from less visible programs and services. However, when the goal is to get constituents riled up and preserve popular programs at all costs (including possible tax increases), it’s much easier to target highly valued services: fire and emergency, trash and recycling, education, parks, and police. The Washington Monument Strategy is also a tactic of manipulation and subject to backlash. Economic times are tough and the threat of hobbling valued services could result in just that. What happens when the public fails to adequate rally around a cause or the local media focuses on other areas the government could easily reign in? The key is to know when to use certain public relations tools at your disposal. In the case of the Washington Monument Strategy, now might not be the best time for local governments unless they have a plan to achieve funding other than raising local taxes. It’s a great time for struggling nonprofits and other entities that rely on private donations to rally the public and past donors. The local zoo has used the threatened closure of the most popular attractions to get last minute funding from the public, including corporate sponsors. It is no coincidence that the polar bears and elephants are chosen as the exhibits likely to be closed or reduced due to these financial shortfalls. These are the exhibits that get people to the zoo, especially with the addition of a newborn elephant. The loss of these exhibits is unimaginable to the public. It works. People pull out their checkbooks and donate. Tapping an emotional connection with the public might seem crass to some. Call it marketing. Call it public relations. The end result is that it does work. You can go too far. Like the child who cried wolf from the field one too many times, you face the strong chance that the public will not bail you out. 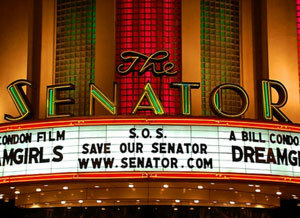 A local entity that did that here in Baltimore is The Senator Theatre, a North Baltimore landmark of nearly 70 years. Having previously struggled financially, the theater faced closure in 2007 but used grassroots efforts to get much-needed donations to avoid a public auction. The owner attempted to reignite those efforts this year but efforts to raise money was marred by a bigger question: how long will another last-ditch infusion of cash keep the struggling entity alive? The city and several others are working on possible solutions that could include the formation of a nonprofit or allowing another private entity to take over the landmark. Regardless, the public has spoken and the lights in the marquee are dim for the time being. It is a double-edged sword. All these things that are very much in the public eye are always targeted as you say. But the reality of the spending is that most of it is in areas out of public view such as the beuroucracies that support the administrative functions, the willingness to spend $10 dollars to prevent someone from walking off with an unwarrented $1. The infrastructure that grows like a fungus and get ever bigger as it spreads its spores over an ever widening range of human and business activity. We never see those things on the financial chopping block because people just can’t relate to them.